You may already know something about West Chester being nationally recognized for its efforts to preserve its historic fabric. What’s less well known from strolling down its tree-lined streets is the effort it takes to physically preserve the individual buildings and landscapes that define the borough’s historic character. 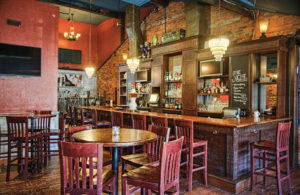 It’s not just business owners, residents and government officials who have worked to preserve as much of West Chester’s historic character as possible. It’s also architects, contractors and artisans who physically preserve, restore and rehabilitate West Chester’s buildings so they can continue to tell the town’s story. To recognize these continuing efforts, the West Chester Downtown Foundation established the West Chester Preservation Awards Program in 2010. Since those first awards in 2011, 42 awards have been made in four categories, Bricks and Mortar, Preservation Service, Preservation Legacy and Special Recognition. The program’s goal was to honor a wide variety of preservation projects every year. Once again that goal was achieved. The seventh annual awards ceremony built on the success of the program with eight more well-earned awards, including a Special Recognition Award. Timothy Coldren, of Monroe Coldren and Son, was presented with a Special Recognition Award for his ongoing efforts to provide top quality restored and reproduction 18th- and 19th-century hardware to preservation and restoration projects. 119 East Gay Street Retail Property, aka The Social, demonstrates how carefully researched rehabilitation and restoration projects can transform insensitively remodelled buildings into important cultural and economic assets to the community. Since its rehabilitation and restoration in 2002 by Scott Zukin, this Italianate building has become a Gay Street landmark. This project was considered to be of such high quality that it is included in the West Chester Historic District Design Guidelines as a good example of storefront restoration. 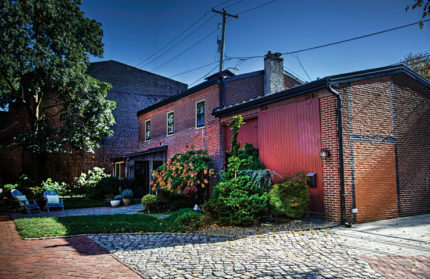 Smithworks Design, 511 Mechanics Alley, was recognized because, as a business office, residence for the business owners and open courtyard complex, it illustrates how creatively adapted historic buildings can meet the needs of modern businesses and families. Since 2006, when this 1909 warehouse was renovated, it has been a good example of the potential for the rehabilitation and adaptive reuse of West Chester’s lesser-known and less visible historic properties. The Chester County Historical Society, 225 N. High St., won for the superb 1995 adaptive reuse of the 1848 Horticultural Hall and the 1908 YMCA building into the Society’s headquarters. In addition, the Historical Society was recognized for ongoing stewardship of these two important historic resources. This project is a highly visible showcase of the kind of results that can be obtained through exceptional preservation efforts. 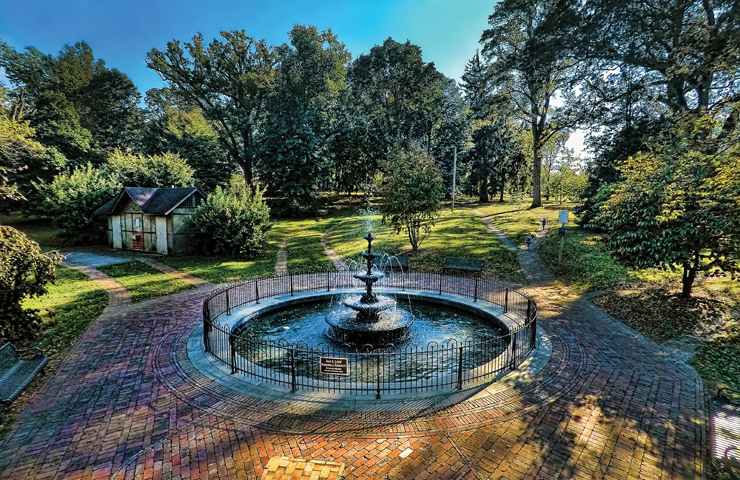 Marshall Square Park Fountain, 200 E. Marshall St., was selected for the successful restoration of the 1889 fountain in the northeast corner of Marshall Square Park. The restoration included reconstruction of the masonry fountain basin and its brick plaza, including brick swales and decorative features. This project demonstrates what a group of dedicated community members can accomplish through careful planning and strict adherence to best preservation practices. West Chester National Guard Armory, 226 N. High St., won for the adaptive reuse of this 1916 military building into the Knauer Performing Arts Center, West Chester’s only full-time professional performing arts venue. The project included turning the original drill hall into a 327-seat theater, a 100-seat performance space and a classroom, and creating green rooms, dressing rooms and bathrooms. This project demonstrates, again, the outstanding results a group of dedicated community members can achieve through sensitive historic preservation practices. The Eighth Annual Preservation Awards will kick off in April with the opening of nominations, to close in June. Nomination information is available at the West Chester BID office and at DowntownWestChester.com. Winners will be announced in July, and the awards ceremony is scheduled for October 19, 2018. Please help recognize projects that have enhanced West Chester’s historic character by submitting a nomination!